Identifying and hiring talent has been a passion of mine. Over the years I’ve interviewed and assessed literally hundreds of very talented professionals. I continue to be fascinated by every individual that I meet and get to know. There is so much human talent and potential in the world that I find this part of my work extremely gratifying. But as employers, when we assess and interview, what are we looking for? 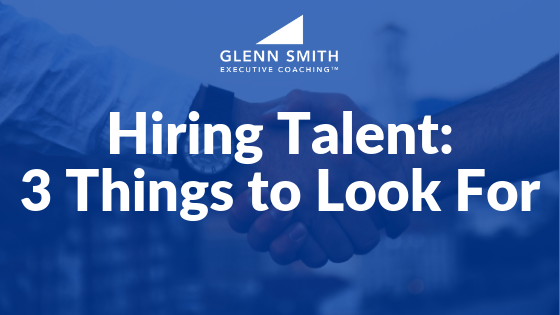 How can we be more effective in hiring talent? Of course, we all look for a good first impression – Does the individual present themselves well? Do they have a neat appearance? Do they communicate well? Do they have an appropriate and/or professional manner? If we’re wise, we also do a background check and we check their references – Are they honest? Are they dependable? Do they work well with others? Are they teachable? Do they have a good reputation? But how do you know they can actually do the job for which you are hiring them? I like to look at 3 aspects of each individual person.